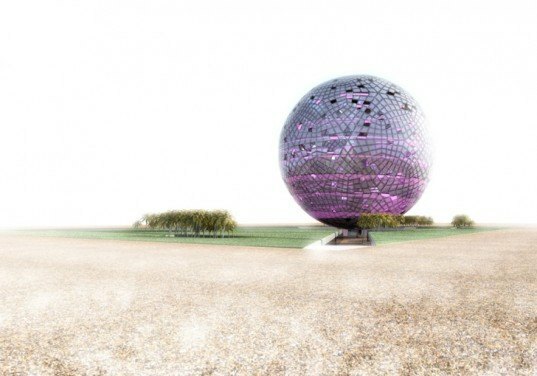 Qatar just announced plans to construct a gigantic shimmering crystal ball for the 2022 FIFA World Cup. Conceived by Danijel Koletić owner of Apriori Communications, Crystal Ball-Light of the Future was designed by architects Vedran Pedišić (SANGRAD) and Erick Velasco Farerra (AVP-arhitekti). The crystal ball building will host a sports museum and a shopping center, and although the structure is in its initial planning stages, it will incorporate cutting-edge technology to ensure energy efficiency. In response to Koletić’s request, Pedišić and Velasco Farerra created the oversized crystal ball, which is designed around a central vertical axis. The orb transforms into a glowing installation as soon as the sun goes down. During the day the exterior takes on an iridescent effect, glittering with the rise of the sun and filtering ample daylight into the interior. The orb body rests on the vertical axis, but spins in a spiral path throughout the day, making gradual revolutions around the central point. Like other revolving buildings, the movement will enhance the tourist attraction as a truly innovative structure. With a reference to the historic dome structures in architecture like the Pantheon, the Hagia Sophia and geodesic domes, the Crystal Ball puts Qatar on the map of architectural icons, but with a sustainable twist. 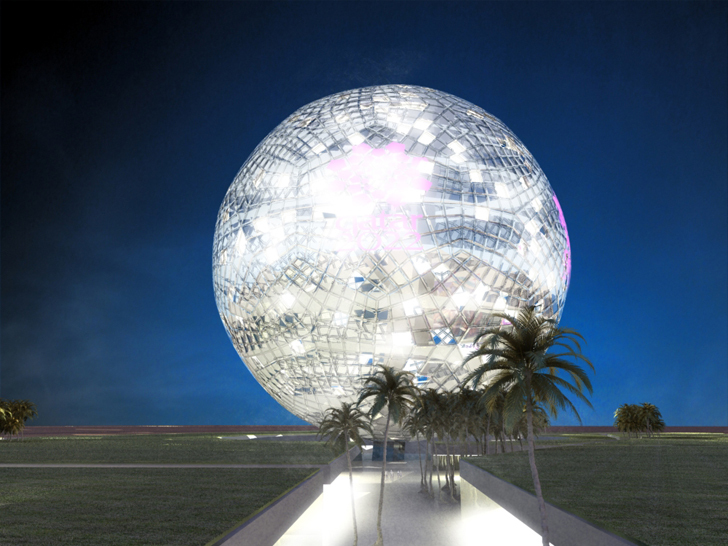 The glittering ball will host a FIFA World Cup sports museum and a shopping center for tourists and locals to enjoy. In response to Koletić’s request, Pedišić and Velasco Farerra created the oversized crystal ball, which is designed around a central vertical axis. Wanting to incorporate light with architectural design, the orb transforms into a glowing installation as soon as the sun goes down. During the day the, the exterior takes on an iridescent effect, glittering with the rise of the sun and filtering ample daylight into the interior. With a reference to the historic dome structures in architecture like the Pantheon, the Hagia Sophia and geodesic domes, the Crystal Ball puts Qatar on the map of architectural icons, but with a sustainable twist. Although the structure is in the initial planning stages, a strong focus will be on sustainable and green design, with an emphasis on cutting edge technology to ensure energy efficiency. The glittering ball will host a FIFA World Cups sports museum and shopping center for tourists and locals to enjoy.